the game of my childhood. nostalgia undoubtedly inflates the rating a little, i'm not a fan of the RTS. 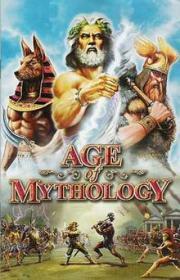 [PC] Built from Age of Empire's success, Age of Mythology employs a different game engine and a more focused campaign for an all round better experience. The god powers are fun, and the inspiration drawn from classical tales, while altered are a great jumping point into a bigger more interesting world.